25 MHz wide plasma line profile at Arecibo, 2.5 seconds of integration. 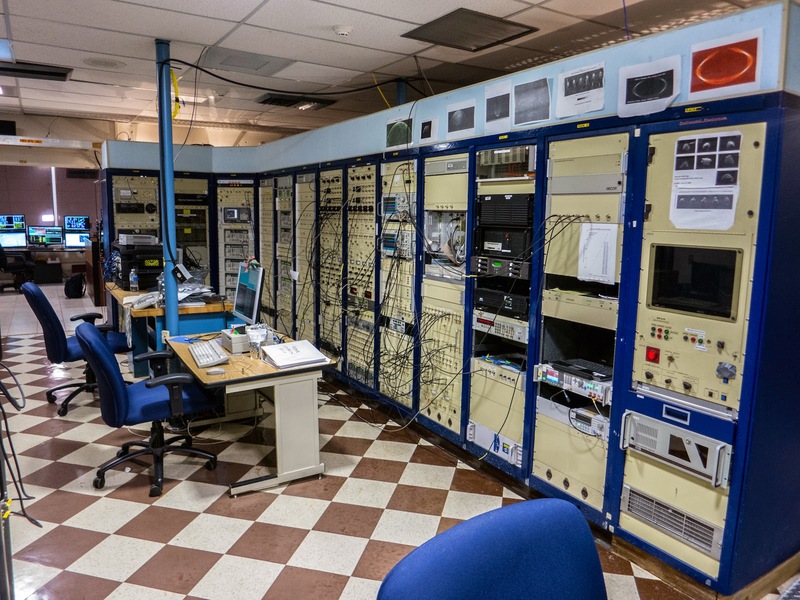 A while ago, Thomas covered the Arecibo radar school (you can see our black rack receiver on the table in one his pictures). During the school, a little bit of data taking took place. Between his lectures, Phil Erickson ran data collection with our 25 MHz digital receiver, in anticipation for a longer campaign that will occur later this year. As I wasn't in Puerto Rico, and I've been traveling elsewhere, I'm only now starting to analyze the results. But they are quite nice. The system can pretty much do what the existing 5 MHz wide Pentek system can do, but at 25 MHz bandwidth, allowing us to measure plasma line profiles such as this. You'll probably need to zoom in the picture to pick out the narrow plasma line. There is also a higher resolution version on line here. Anyway, this is quite a successful first try. The IF will need to be at a different frequency than 260 (e.g., 264 would be nice), as plasma line below 10 MHz folds, and can also be seen "sliding" down from +12.5 MHz too. Another option is to bring a tuner to shift the band to a lower IF. Also, the wide band IF doesn't seem to be wide enough. The upshifted line isn't that visible due to filter roll-off.